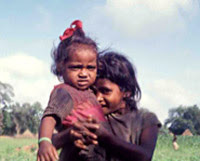 Our Indian tribal tour now moves towards Chenchus tribes of India. These Indian tribes are also known with the names like Chenchukoolam, Chenchwar, Chenswar and Choncharu. These tribes of India can be seen if you are traveling to parts of Andhra Pradesh , Tamil Nadu, Karnataka and Orrisa. 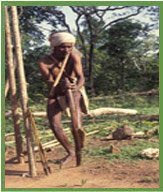 The prime language of Chenchus tribes of India is known as Chenchus which belongs to Dravidian language blanket. These Indian tribes also speak Telugu. Labels: Chenchus tribe, chenchus tribes of india, indian tribal tour., indian tribes, tribes of india.